The light bulbs that we used to be familiar with, the incandescent or filament light bulbs have come to their end, at least in the European Union. As from September 1st 2012 the EU has put an end to the circulation of the common light bulbs or conventional incandescent light bulbs. This is part of the effort to save energy and reduce the CO2 emissions. As from September 1st 2012 the EU has banned the import and manufacturing of incandescent light bulbs (otherwise known as filament light bulbs or conventional light bulbs) rated at 40w and 25w thus giving an end to the production of bulbs of this type. The EU estimates that as a result of the banning of the conventional light bulbs there will be a reduction of about 15 million tons of CO2 emissions yearly! 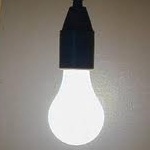 It has to be noted that according to EU statistics lighting represents about 20% of the home consumption of electricity. With the banning of the incandescent light bulbs more efficient and effective lighting technologies have and will be introduced which consume up to 5 times less electricity while at the same time produce more light. The question which comes to mind is: What do other countries do? How do they contribute to the energy saving and environment preservation initiatives? How do countries in Asia and Latin America approach this idea? We welcome comments and contributions along these lines.